SPECIAL EVENTS AT THE HISTORIAN INN! Last weekend in April – Genoa Cowboy Festival! 2nd Week/end in June – The Famous Carson Valley Days! Enjoy the BEST location for Fri. Eve Festivities & Saturday’s Parade – Stay with us! This five-day event showcases small-town U.S.A and features a parade, carnival, concerts and a variety of unique activities that have been a tradition for over 100 years. 3rd Sunday in June – Tour of the Carson Valley! Use our loaner bikes! Last Weekend in September – The Genoa Candy Dance! This is one of the largest fine arts and handcrafts fairs in the nation. Thousands of people come from around the world to sample all this small-town event has to offer with great music, food & drink and hundreds of one-of- a-kind booths. From the Fall Harvest Festival to the Best Pumpkin Patch in the West! Visit this famous working ranch featuring a corn maze, pig races, miniature horse rides, pick-your- own pumpkins in one of the largest pumpkin patches anywhere, and many other fun activities. Museums & Historic Sites The Carson Valley is rich in western history and lore. Visitors can spend hours or days visiting historic sites and museums, steeping themselves in the lives of the early settlers. There they will discover detailed information on Kit Carson and Snowshoe Thomson, the Pony Express, the Emigrant Trail, and more. In Gardnerville, the Museum and Cultural Center is a marvelous place to spend an afternoon, learning many aspects of early life in the Carson Valley. Visitors can also experience the ranch life of the old west at the Dangberg Ranch historic park. The town of Genoa, originally named Mormon Station, is the oldest permanent non-native settlement in Nevada. It boasts many historic buildings, a wonderful museum, and a park featuring a stockade. Sports, Recreation & Leisure Carson Valley is an outdoor adventurer’s playground, with activities year-round. Featuring nine courses, the Carson Valley is a golfer’s haven. Scenic and affordable, the Carson Valley offers 365 days and over 171 holes of championship golf. Visit our specials page or call us at 877-783-9910 to learn about our Golf Packages. 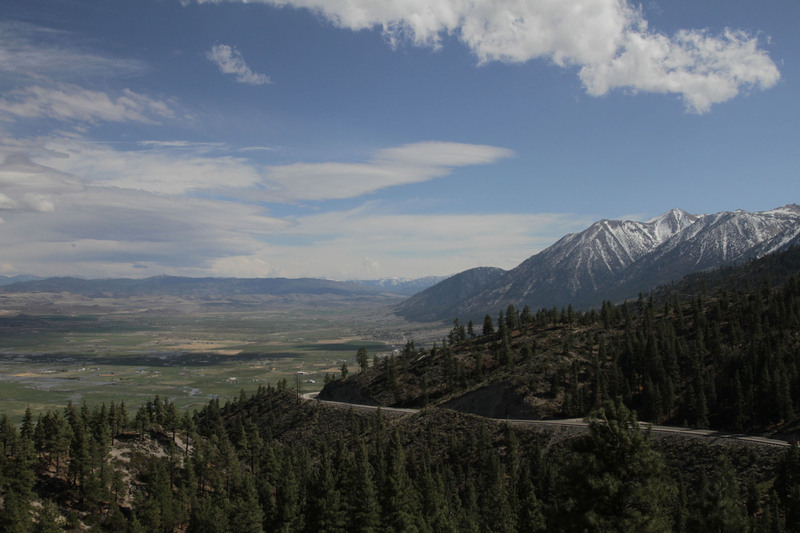 Carson Valley is renowned for water activities such as boating, water-skiing, jet-skiing, swimming, and fishing. Fishing for rainbow, German brown, or cutthroat trout is popular at Topaz Lake, the Carson River, and streams and ponds in the valley. Hikers enjoy lush green trees, vibrant wildflowers, and abundant wildlife. The Minden-Tahoe Airport, a general aviation facility, is known as home base for one of the best places in the world for gliders and soaring. Glider and hot air balloon rides are available most of the year. Nearby, Lake Tahoe is home to ski resorts and sandy beaches, and boasts some of the world’s best terrain for climbing, hiking, and biking. Visit our specials page or call us at 877-783-9910 to learn about our Winter Packages. Enjoy GOLF by day and evenings of dining, entertainment, gaming and accommodations! The Lakes Course is a Jacobson/Harbottle design with the Carson River and wetlands ponds providing lush greenery and attractive of water elements. The Ranch Course (previously the Resort Course), at the foot of the beautiful Sierra Nevada Mountain Range, is a Miller/Harbottle design. Sun-Ridge Golf Course offers scenic views and challenging elevation drops – a truly unique golfing experience. Eagle Valley East is flat – hard to lose a ball. Thunder Canyon Country Club is tucked away at the base of the majestic Sierra Nevada Mountain Range offering an outstanding golf experience in a private-club atmosphere. Edgewood Tahoe Golf Course is on the south shore of beautiful Lake Tahoe, offering a challenging but fun “bucket-list” golf course for all ability levels. Home of the NBC televised American Century Celebrity Golf Championship every July… PLUS our sister property – The Avalon Lodge is walking distance! Carson Valley’s art community is vibrant and prolific. Local artists abound, producing beautiful locally-themed paintings of landscapes, wildlife, and ranch life, all of which can be professionally framed right here. For those who prefer more tactile art forms, many local artists and crafters turn out glass and ceramic pieces, pottery, woven wearable art, and gorgeous jewelry designs of sterling silver, gold, turquoise, and beads. The visitor can find this local art in a variety of galleries, shops, and artists’ co-ops throughout the valley, most conveniently located along the Highway 395 corridor in Minden and Gardnerville. For those who would like to get their own creative juices flowing, there are also art classes available in a number of mediums.